Seattle Met asked me to illustrate a fictional concert to coincide with article about Seattle's inaugural Upstream Music Fest. 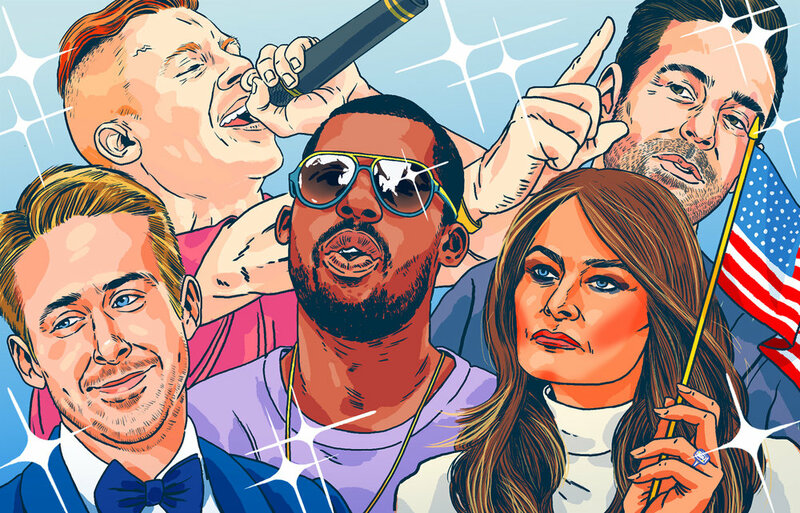 The fake roster included icons from (then) current events like: Ryan Gosling, Macklemore (ft. Ryan Lewis), and a collaboration between Flying Lotus and Melania Trump. © 2019 Brandon Loving. All rights reserved.